AAA Termite And Pest Control Services, in the provision of its pest management services, is committed to the development of a safety culture and to the provision of safe and health to our employees, as well as others who may be affected by our activities. We are to provide and maintain conditions to regulatory requirements to establish a manageable adequate result in pest management servicing without the risk to our customer, staff, public, environment and animals. The customer or signatory of recipient of the service agreement acknowledge he/she has read and fully understands and agrees to the terms and conditions contained within and prior to commencement of the service. If this service agreement is not signed personally by the customer, the signatory or recipient of this service agreement warrants he/she has the customer’s full authority to accept the service offer and terms and conditions on the customers behalf, if the customer is not available at the time of service these terms and conditions as hereof..
Client’s obligation, you must advise of any pets, personal or family/staff allergies or other concerns. Any persons who are particularly sensitive, or who suffer from allergic reactions, should, as a matter of precaution, remain out of the premises for a period of 24 hours and not return until the premises have been fully ventilated. Avoid contact with treated surfaces until the control agent has dried. You must observe any verbal or written advice provided by our firm or our licensed operators at all times. You must ensure your premises are properly ventilated after treatment. Leave on any air-conditioners on ‘vent mode’ (so they circulate outside air into the building) for a period of at least thirty minutes after the treatment and before re-occupying. If during the course of the program it is found that structural or environmental conditions prevent us performing any sections of the Management Program then the FREE Service Period or the cost of your investment may have to be reviewed. Unless specific written arrangements have been provided the full contract price shall be due and payable and recoverable by this Firm on commencement of the initial treatment in which we may offer an incentive discount or the full amount on delivery of invoice, Any FREE Service Period shall be null and void and all legal recovery costs will be payable by the client unless all monies due have been received in full within fourteen days of receivable of invoice which is our standard terms of business. Any account not paid within the time specified on the invoice for more than sixty (60) days will be liable to meet the debt recovery cost’s including and not limited to all legal costs and/or commission and internal accounting charges (recovery fees) and such recovery fees will be added to the account and form part of the principle debt. Acceptance of our goods, services or quotation is automatic acceptance of these terms and conditions. Payment of credit cards will occur an additional fee of 2% of the sales value for service/s provided. Any discrepancies with credit card payments the card holder will be liable for all banks and legal/book keeping fees etc. During the free service period if applicable we will provide at no extra cost to the client retreatment of the pest to a manageable state except where such infestation is likely caused by the actions of the inhabitants or visitors to the property or any other pest infested animals, plants, materials introduced or kept within or nearby the property. The customer shall ensure we have full access to all areas of the property and if access is restricted or prevented we will be entitled to impose an additional charge. No responsibility is accepted, or warranty implied, for any damages or consequential Losses that may occur as the result of past, current or future pest activity. Further terms and conditions maybe also be advised on other documentations or any advised verbal recommendations. 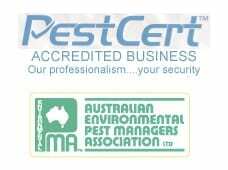 The treatment and any warranties only applies to the pest species names on our Documentation and does not provide a pest management solution for pest/s. Only control agents approved by the Department of Primary Industry and Energy’s Australian Pesticides & Veterinary Medicines Authority (APVMA) and registered for use by the State of Victoria will be used by our company. While every care will be taken, this firm will not be held liable should staining of timbers, fabrics, wall and coverings, or any other articles occur. Where drilling and or cutting is required; no liability is accepted should damage result to concealed services such as power, gas, water, etc. You indemnify Us against any costs that may arise from such possible damages unless Clear and accurate plans have been provided by you before we commence. You accept that the pest management program can be rendered ineffective if you fail to implement our recommended including hygiene procedures, by making building alterations, or by the introduction of conducive or infested materials. 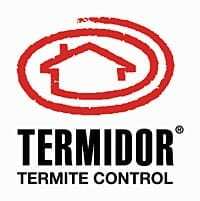 Where a termite barrier has been installed for the management of termites in and around your home it is advised any alterations, modifications, landscaping or disturbance of the soils will be required to be retreated at the owners cost and we hold no responsibility if notification has not been received by you. We strongly recommend that you have your property inspected for termites at least once every twelve months but according to the recommendations of the Australian standards preferably every (3) to (6) months. Timber pest inspections carried out are only a visible inspection and not an invasive inspection unless notification has been issued to you either verbal or in writing, no report can be guaranteed nor a warranty that timber pest activity or damages does not exist in the property, the inspection is limited to visible timbers and readily accessible to the inspector, no assessment can be made regarding concealed timbers, for example carpeted/tiled timber floors, wall frames or roof eaves, the inspector is not authorized to move furniture, cut-open flooring, probe, tear or damage any timber, furniture or fixtures in the property. During the course of assessment to your property if any photos are taken we have the rights to use these photos for training and advertising purposes. The client is advised that we require a minimum period of twenty four hours cancellation or rescheduling of proposed services or the client will be required to pay a service fee of no more than twenty percent of the original cost. Any third party acting or relying on the pest management treatment proposal and advise in whole or part does so entirely at their own risk. No home insurance is offered for the home owner for timber pest damages caused by termites (white ants) borers and fungal, it is to our recommendations that the home owner be advised regular inspections is considered essential and chemical barriers can be effective against termite foraging termites from entering your investment. Statistics state at least every third house will/has/have termites in its lifetime. We at AAA Termite And Pest Control Services shall not in any circumstances in any dispute be liable for any indirect or consequential loss or damage of any nature whatsoever. The client shall not be entitled to claim against AAA Termite And Pest Control Services in connection with any act, omission or event arising hereunder, unless the claim is made to us in writing within 10 days of the occurrence of the act, omission or event giving to a claim. We cannot be held liability or responsibility for any services where advised no warranty, limitations or recommendations not carried out on any services. This advice maybe from the time of the initial telephone call, direct communications, documentation.